In living areas that see a lot of foot traffic, over time even the highest quality carpet will get stained and worn out. To keep carpet in high-traffic area looking its best, dilute vinegar in a spray bottle with equal parts water and spray on the carpet. Allow the mist to fully absorb, then use a stiff spoon and run it sideways along the carpet to loosen up fibers. Using a paper towel or rag to scoop up solids can also force the stain deeper into the carpet. Your best bet is to use a putty knife and dustpan to scrape up solids. 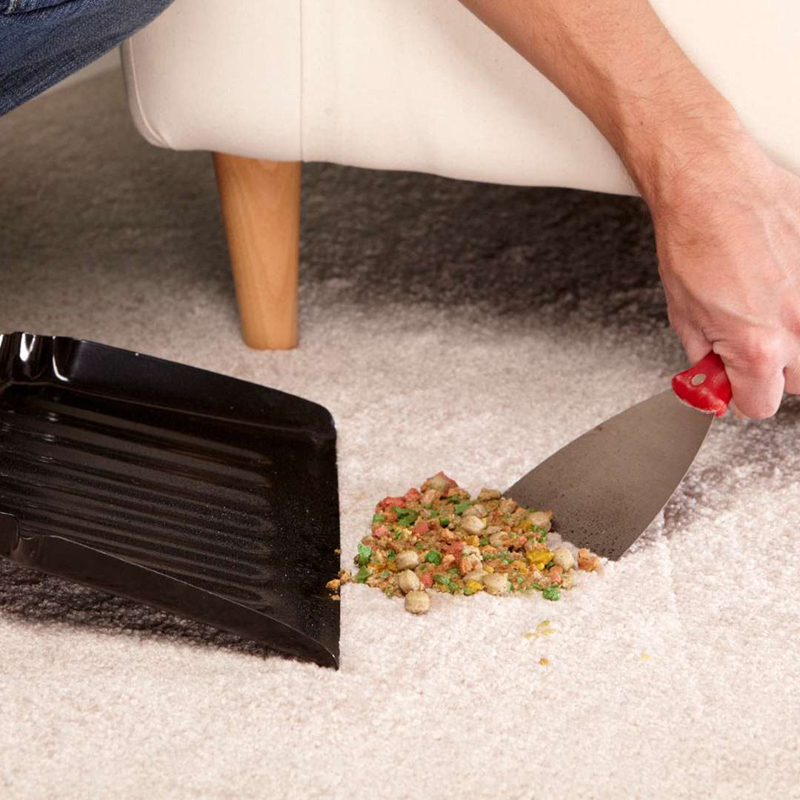 You'll want to sink the edge of the putty knife into the carpet at the edge of the mess, then push it forward to scrape the solid waste up and into the dustpan. By stomping on liquids like pet urine and vomit that have made their way into your carpet, you actually cause the mess to penetrate deeper into the padding and then into the subfloor. 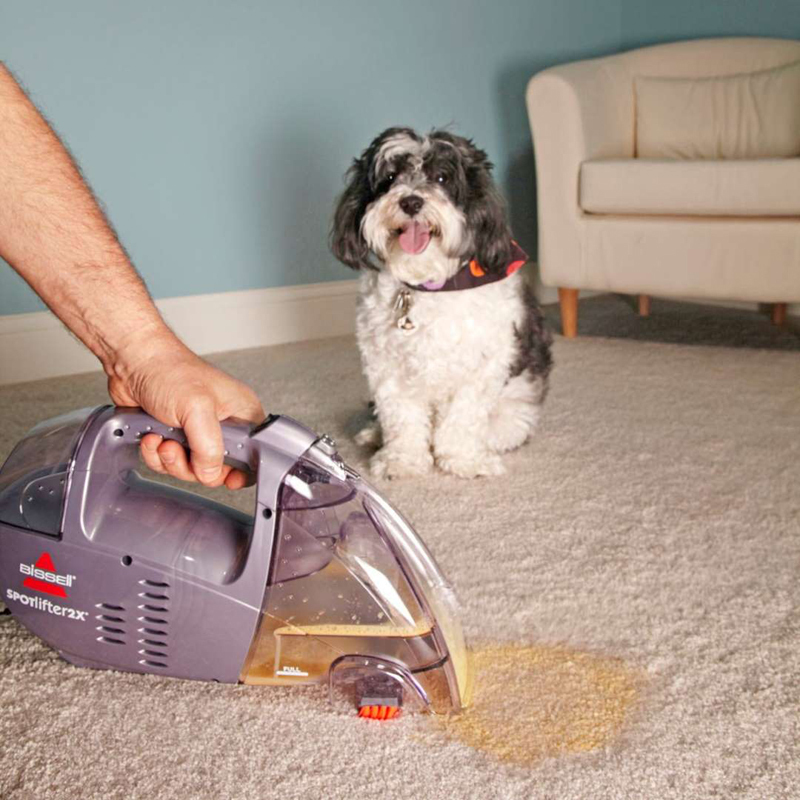 When an accident happens, your best bet is to run for your handheld carpet extractor to pull up as much of the liquid as possible, as quickly as possible. When it comes to cleaning hacks for shag carpet, less is more. 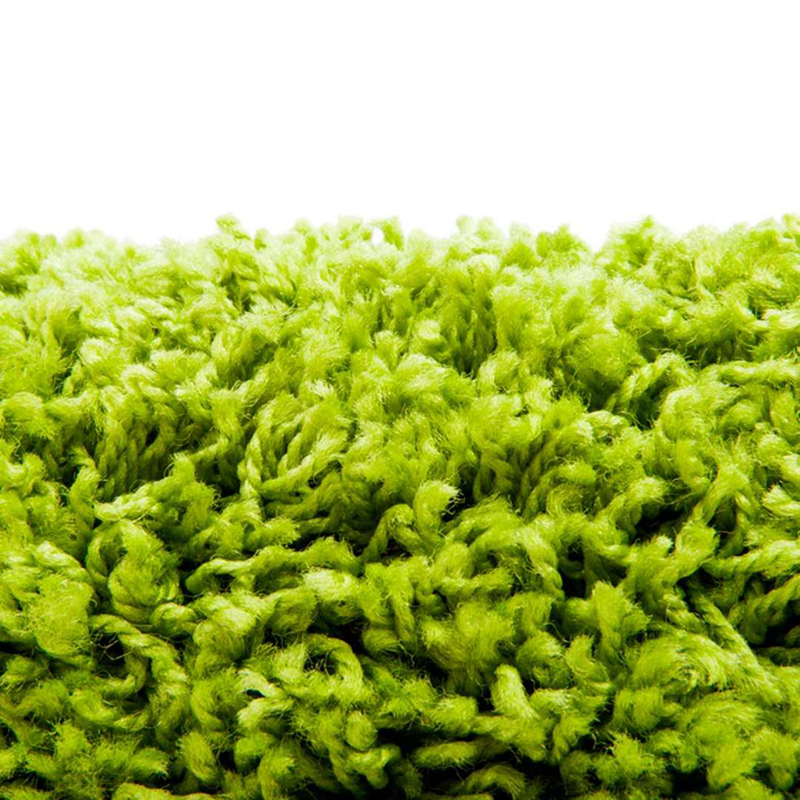 Be kind to your shag and in between vacuuming, pick up lint by simply rolling over the carpet with a lint roller. An essential part of carpet cleaning is deodorizing—especially when you have children and/or pets! 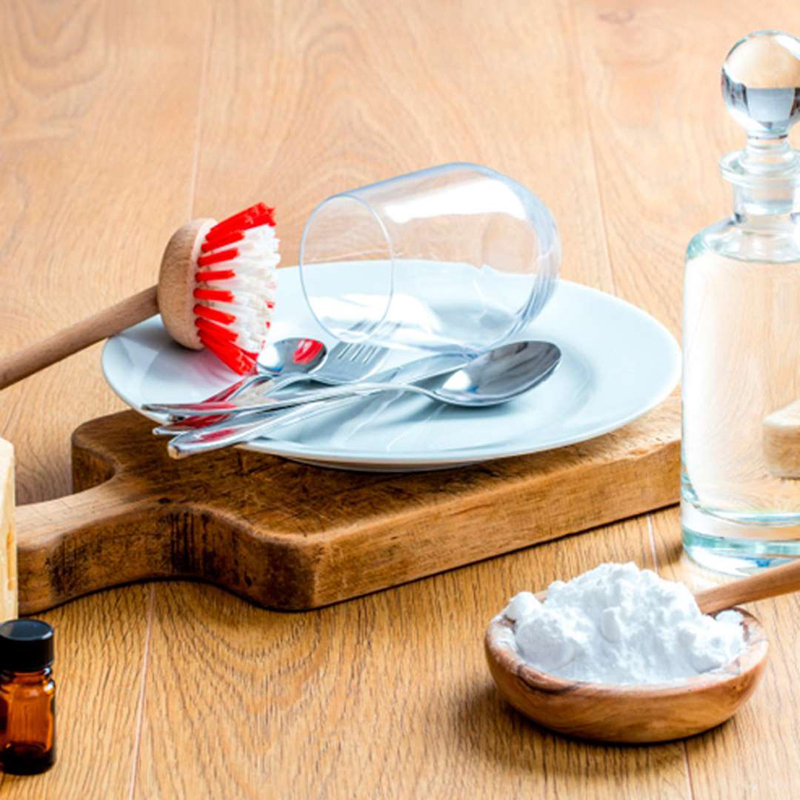 Mix 1 to 2 tablespoons of borax (also known as sodium borate, an alkaline mineral salt with a powdery white appearance that's most famous as a laundry washing powder) with 10 drops of essential oil and 2 cups of baking soda. Spread the mixture on the carpet, allow it to dry and then vacuum it up. Chewing gum is one of the most dreaded things to get stuck places — beneath your kitchen table, in your kid's hair and yes, on your carpet. 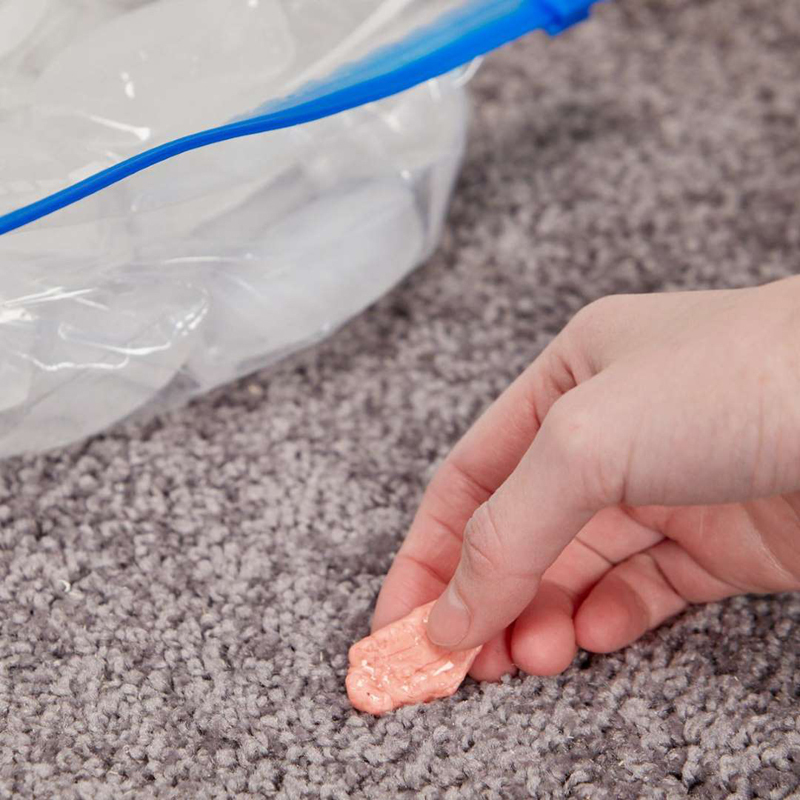 To remove gum from carpet, simply place ice on the gum for 5 to 10 minutes. It will harden and loosen the gum's grip on the fibers, allowing you to scrape it off. 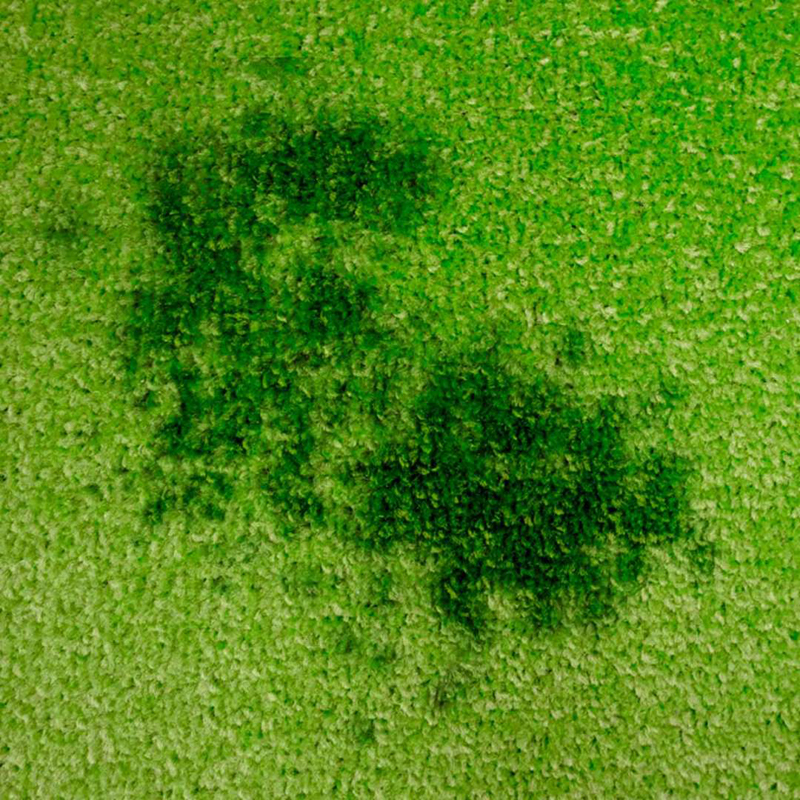 Oil stains can challenging to get our of carpet, because they spread and stick to the fibers. The best way to extract oil is to spread a thick coat of baking soda across the area where the stain can be seen and leave it there until the sides form a dry crust. Then, vacuum up the residue. The stain will hopefully be much lighter, or gone altogether. You may have to repeat this process to get the oil stain completely out of the carpet. 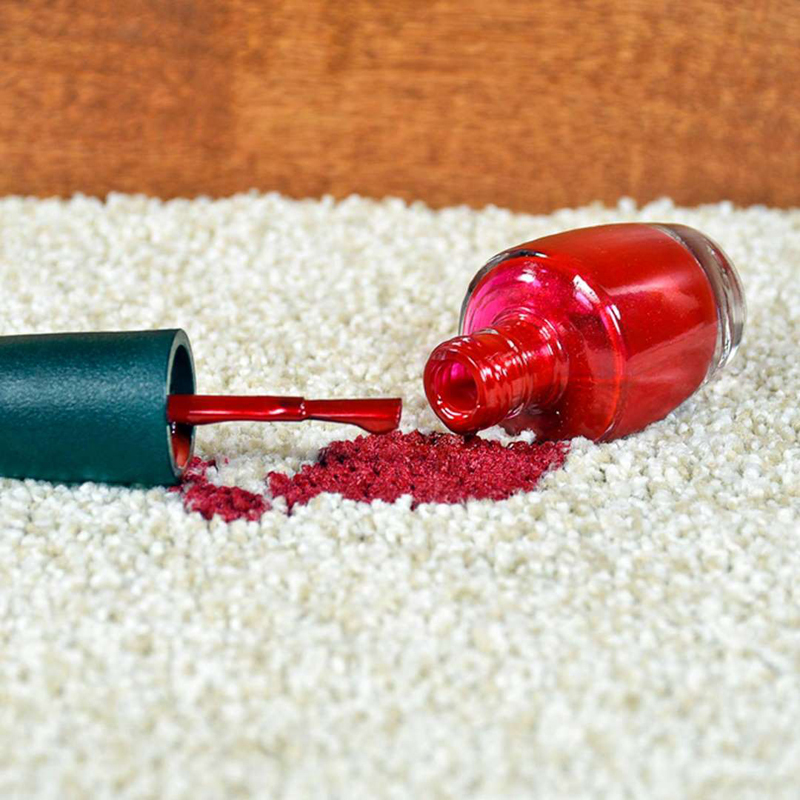 If you haven't learned your lesson about painting your nails on or near carpet, we've got you covered with this carpet cleaning hack. Chip off as much of the dried polish as possible using a butter knife, then dab what's left over with rubbing alcohol and a white cloth until the stain is absorbed. Don't use nail polish remover because it could remove color from your carpet. People rave about these two pet stain removers: Krud Cutter and Nature's Miracle. 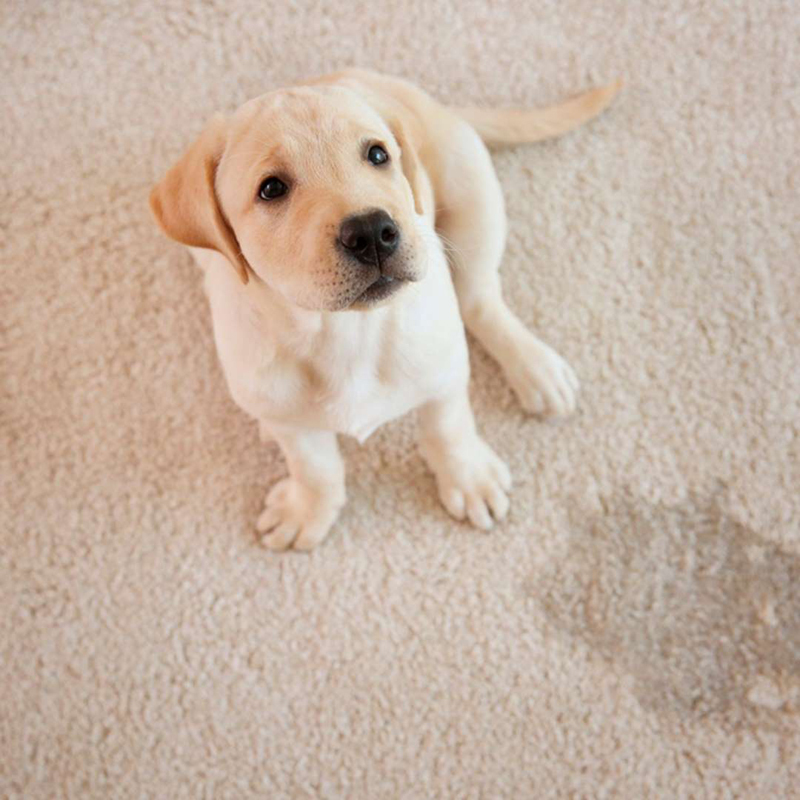 Both products claim to remove just about any stain that's set into your carpet using microorganisms (Krud Cutter) or enzymes (Nature's Miracle) to get rid of pet stains and odors. When wax melts into carpet, wait for it to harden. Then you can simply scrape the hardened wax loose with a butter knife and vacuum up the chunks. Next, dampen a white cotton towel, fold it in half and place it over the wax. Press an iron set on high over the towel for 10 seconds to draw out any remaining wax. 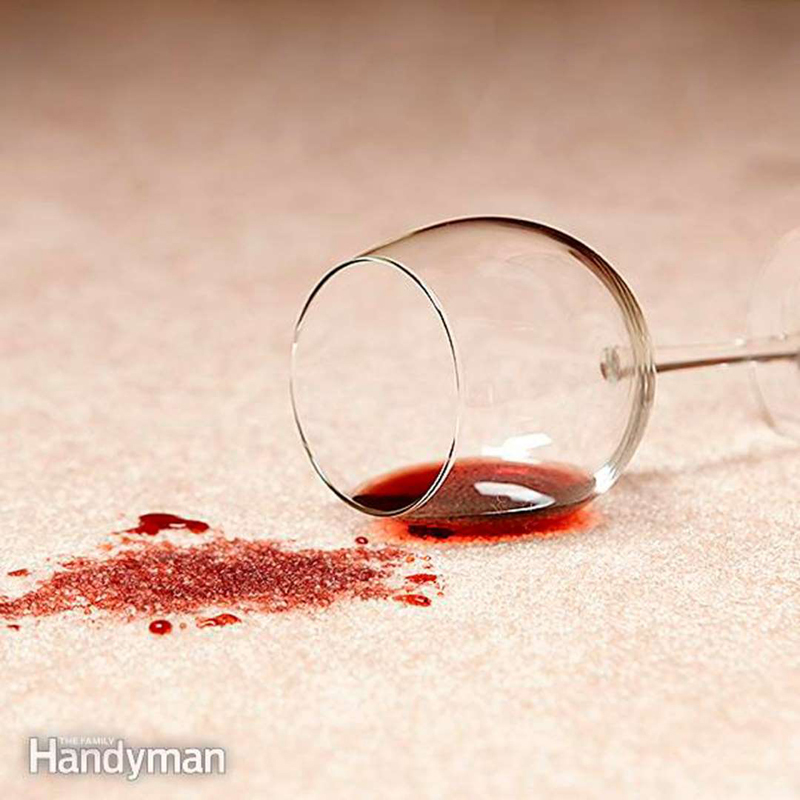 Finally, use a spray cleaner on the stain and scrub it into the carpet with a spoon. Dab it dry with a clean white towel. Especially after a party, you may have to deal with spills on your carpet. 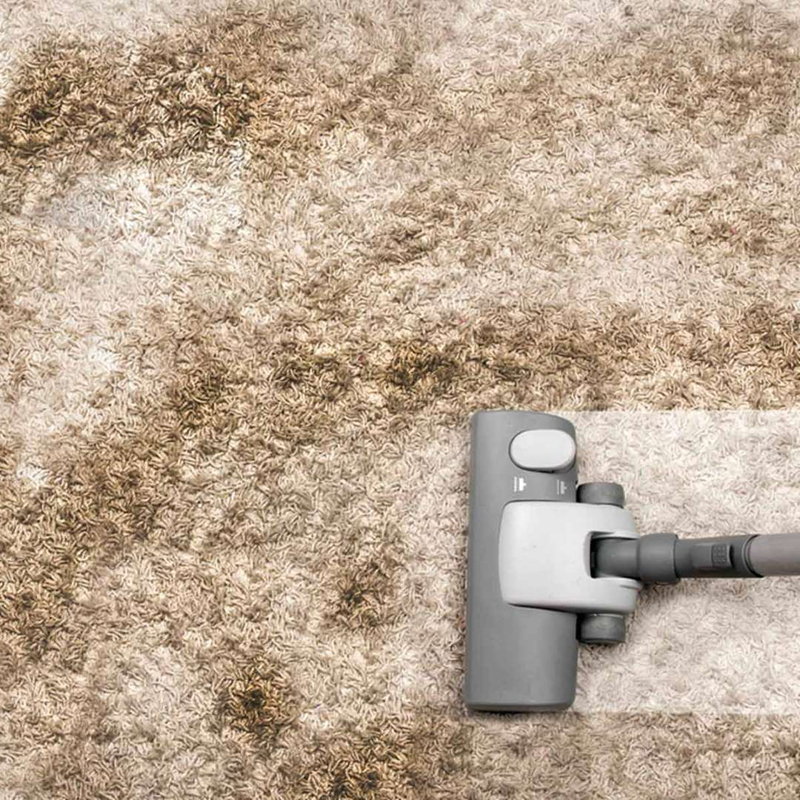 You can begin the process of removing them by pushing the hose of a wet/dry vacuum directly onto the carpet fibers and leave it in place for several seconds. You'll then want to apply a cleaning solution. You can make your own by mixing 1/4 teaspoon dish soap (clear is best) with 1 cup water. Pour the mixture into a spray bottle and then apply it to the soiled area. Allow the solution to soak in for a few minutes, then fold a clean white cloth into a small square and dab the carpet, starting at the outside edge. 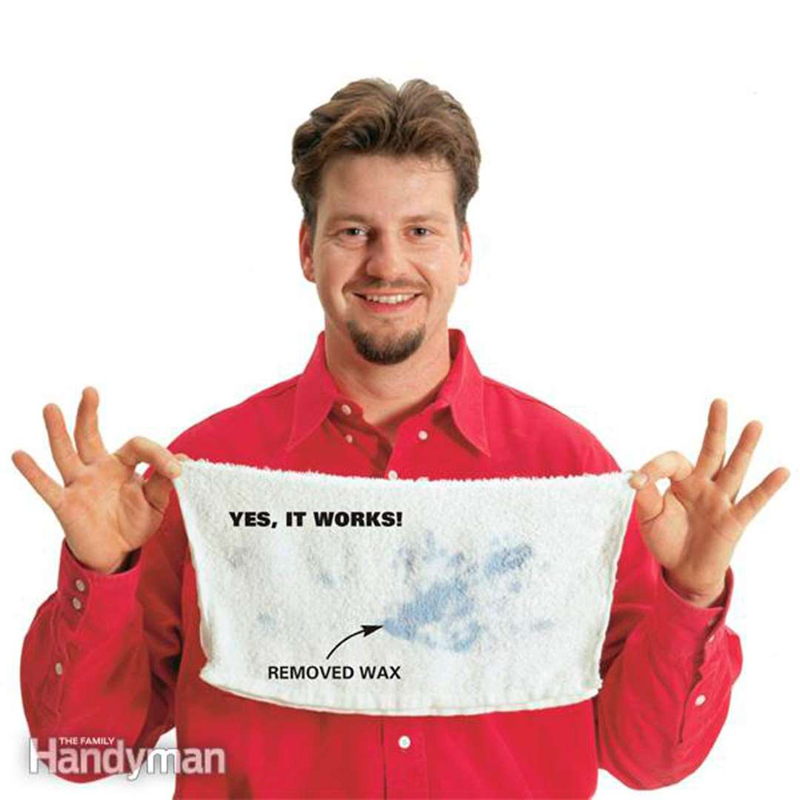 Finally, dab or spray clean water onto the area until the stain has disappeared.